South Africa has landscapes of every type. For a medium sized country the variety of settings for a novel is astonishing. If my memory serves me well, in the Silence of the Lambs, Thomas Harris succeeds very well with his description of the river where Buffalo Bill has left the bodies of his victims. 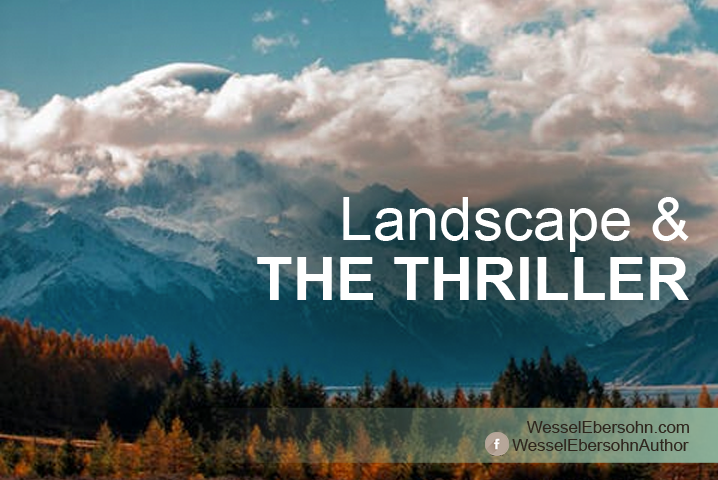 So landscape can be used to compelling effect in a thriller. Whether you are describing a forbidding sea before the storm, a gentle flower-filled meadow that no one would guess conceals the body of a murder victim or the cloudy crags of a mountain range in which some of the action takes place: all of it can be used to build the tension and draw the reader deeper into the story. South Africa’s landscapes of forests, deserts, savannah, mountains, bushveld and tropical vegetation are a range of wonderful panorama for the writer to draw on.